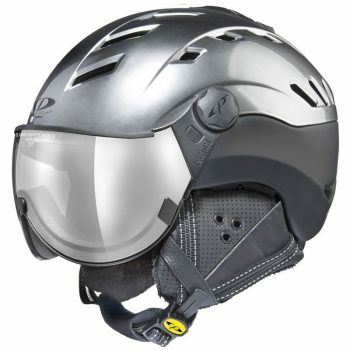 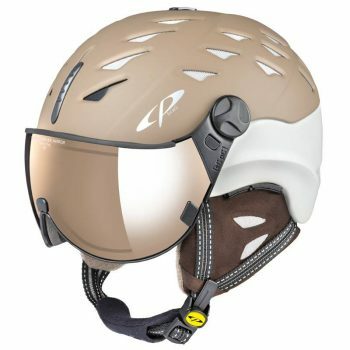 The Cuma Visor Ski Helmet provides the ultimate in comfort in an EN rated helmet, giving you a helmet you want to wear that helps keep you safe in the mountains. 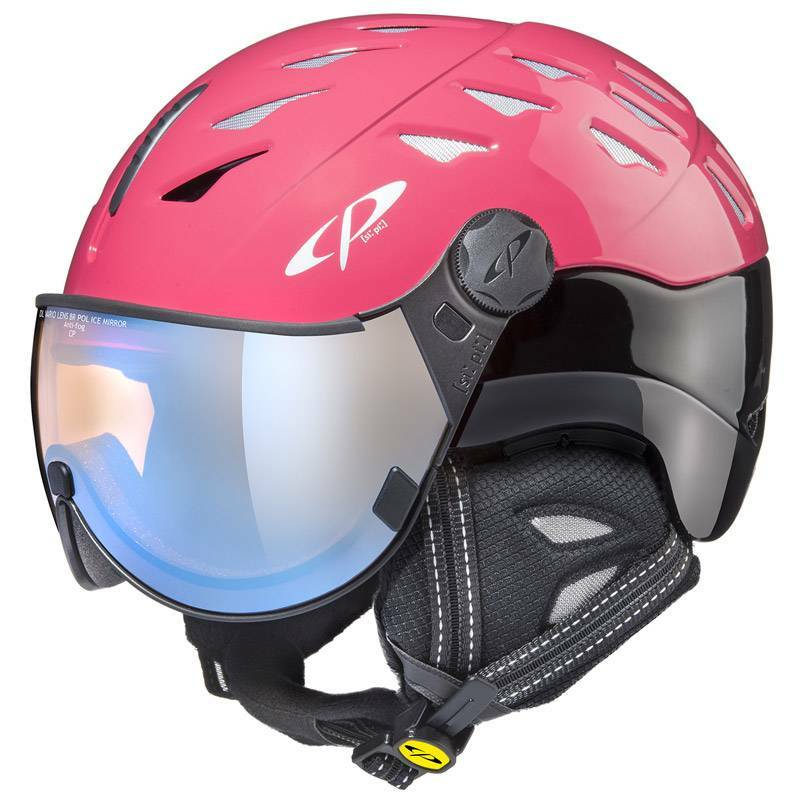 In addition to the ingenious climate system CLIMATE+ which makes the Cuma visor ski helmet waterproof and breathable, you get the CP Size Adapting System, so you can adjust the fit on the fly. 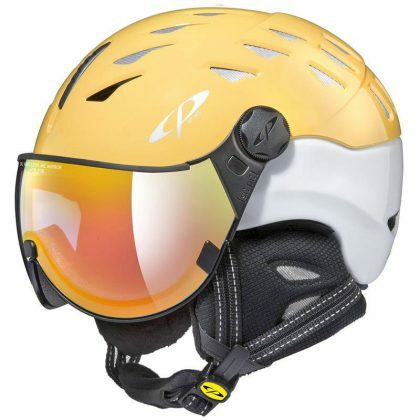 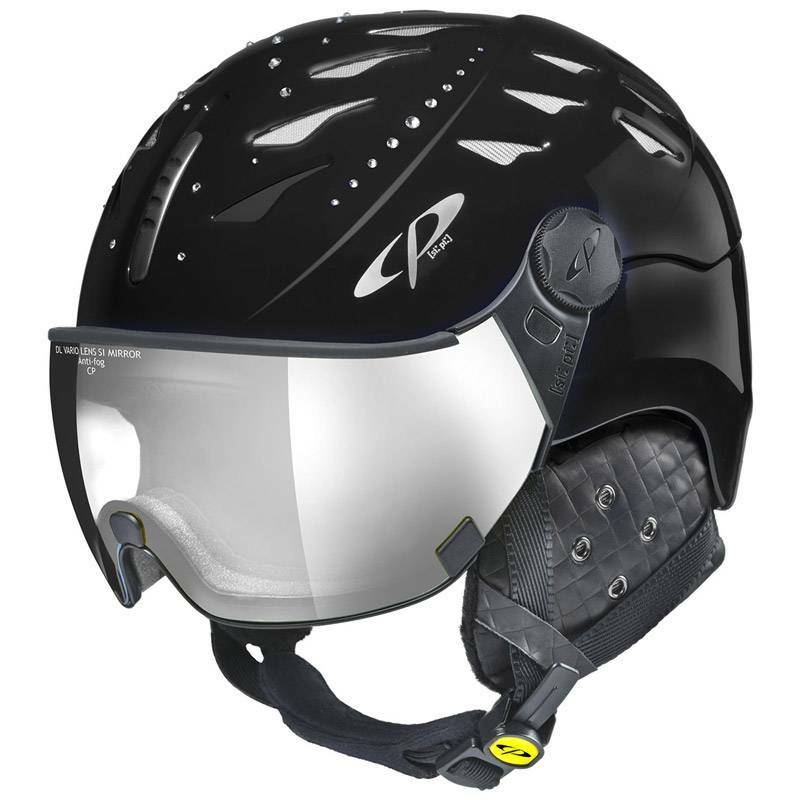 All CP visor ski helmets are equipped with a unique Size Adapting System. 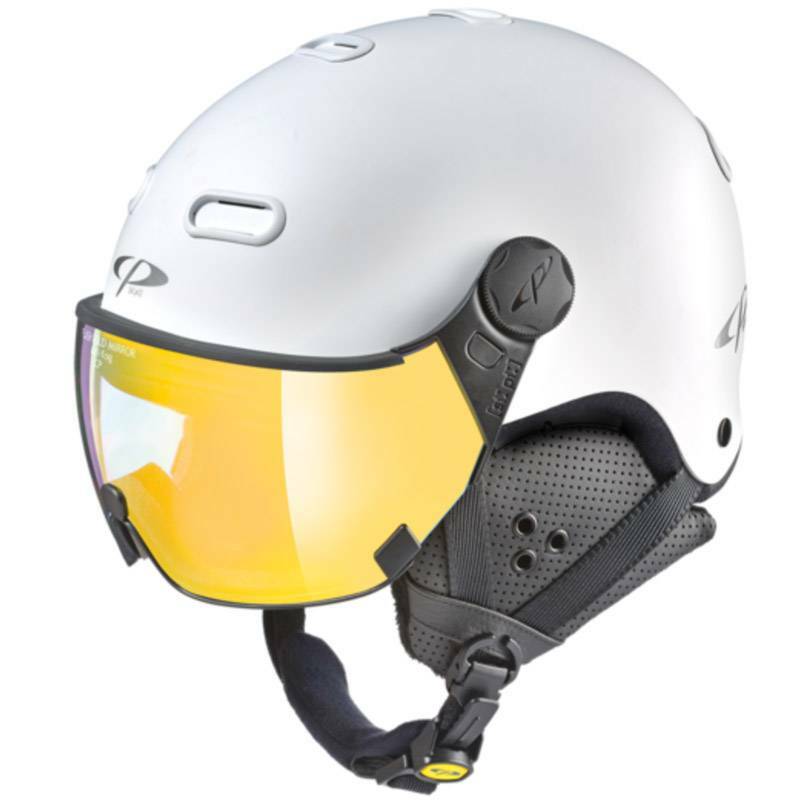 A single dial allows perfectly adjusting the helmet to your head size. 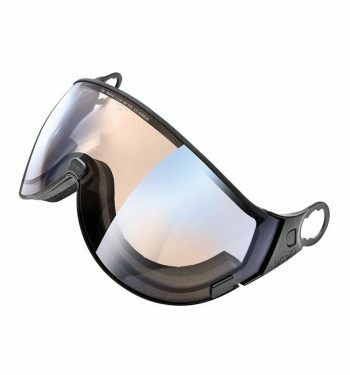 Further adjust your comfort and experience with the removable ear pads. 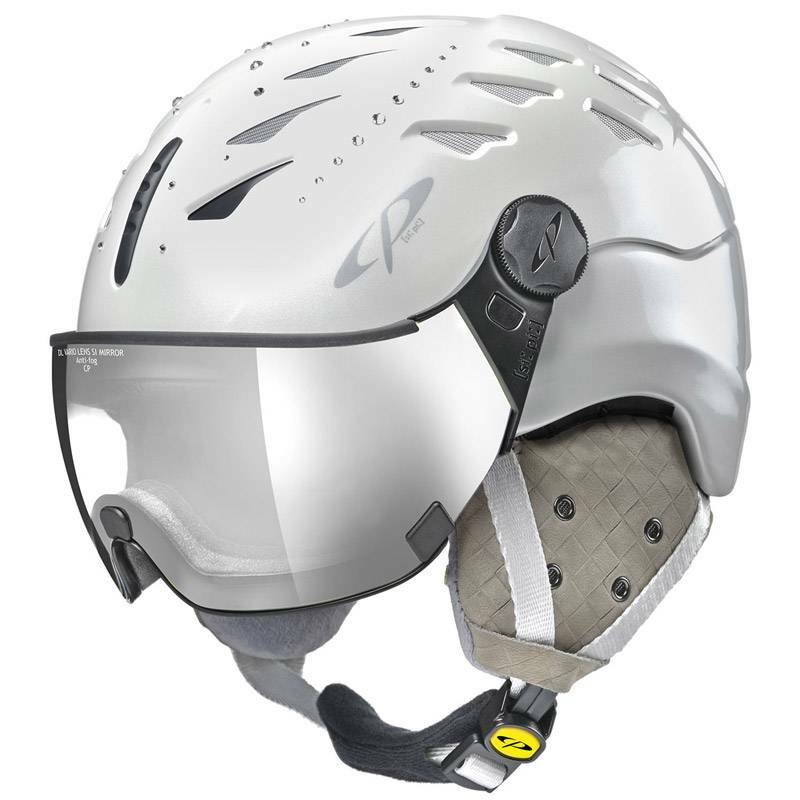 The CP ear pads provide reliable protection against cold, wind and wetness and the intelligent construction of the ear pads ensures the acoustic requirements for communication and the necessary reception of noises on the slopes. 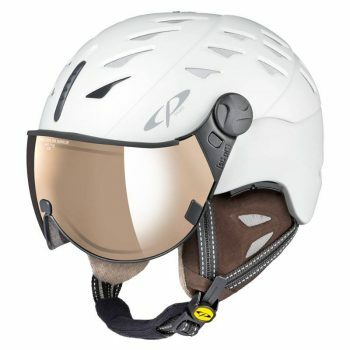 CP visor ski helmets‘ top quality visors don’t just look good – they can easily be changed without any special tools. The 380 comes with a yellow tinted maize shiny top shell and white shiny body, DL vario lens multicolor mirror visor but can be changed out with any of the CP visors, giving you the flexibility to customize your skiing experience. 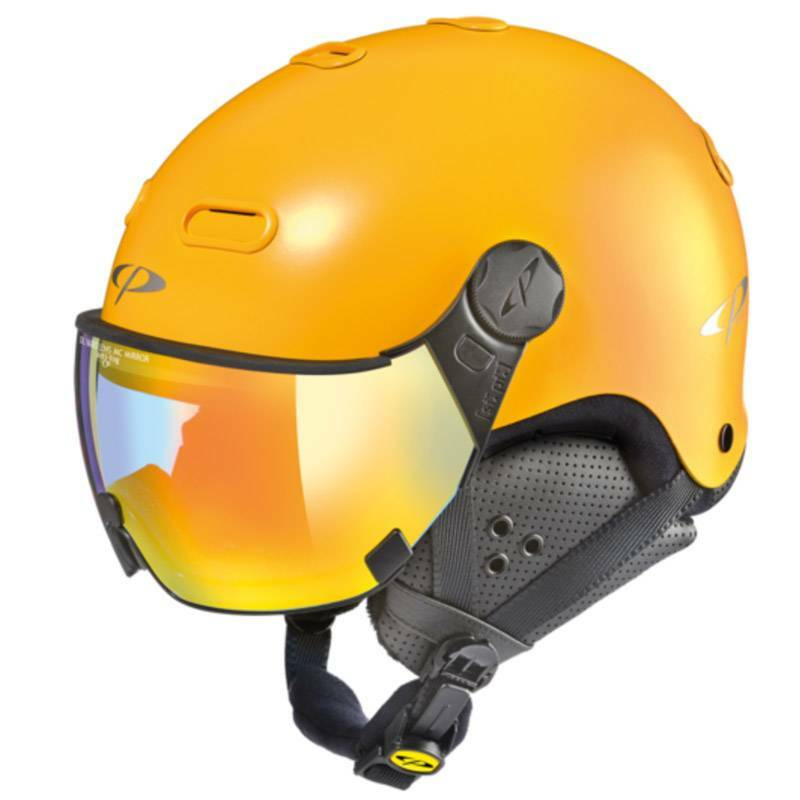 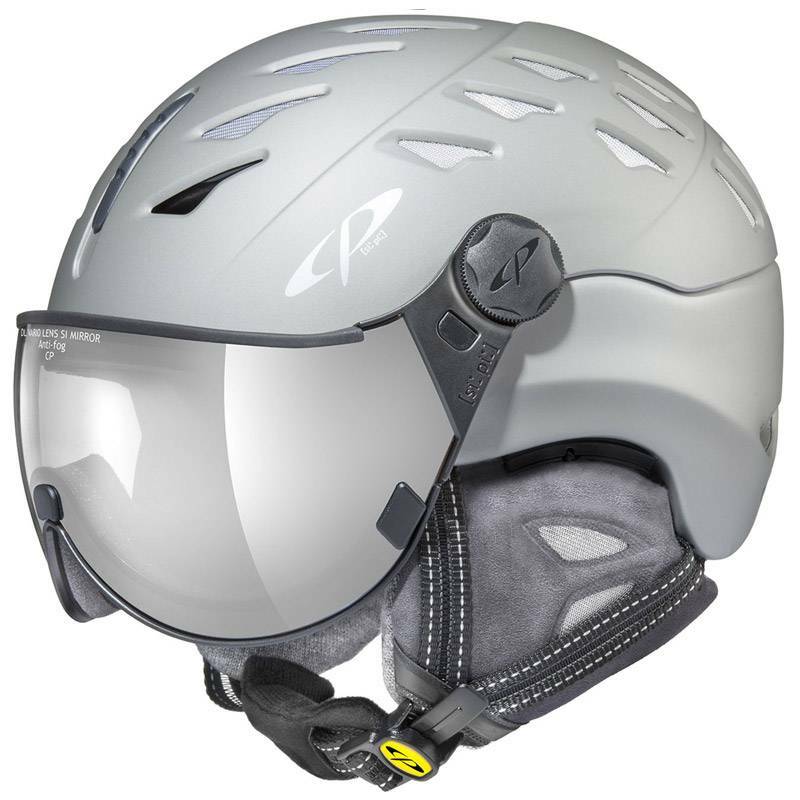 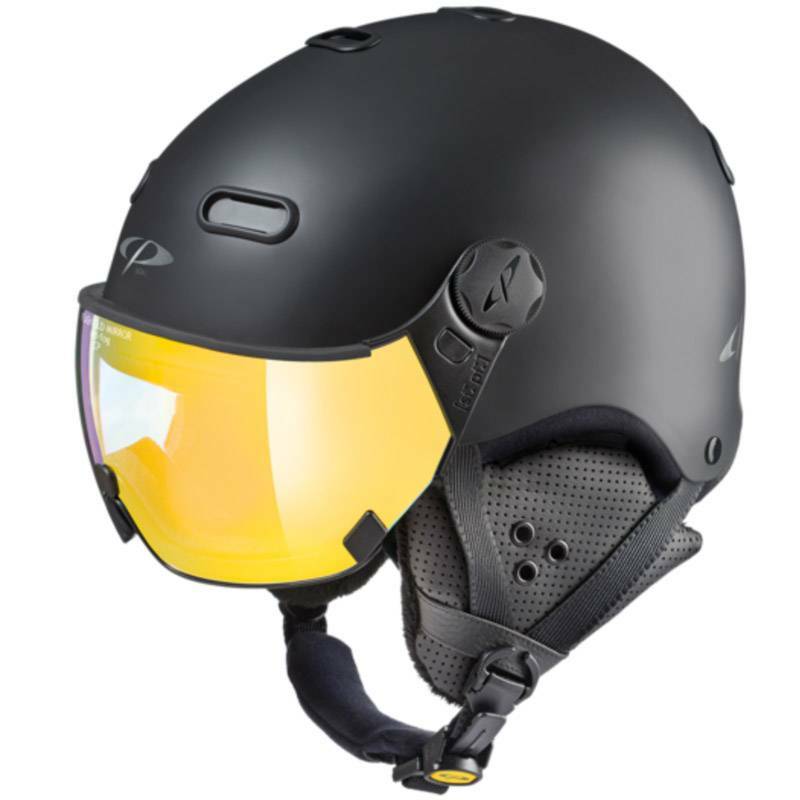 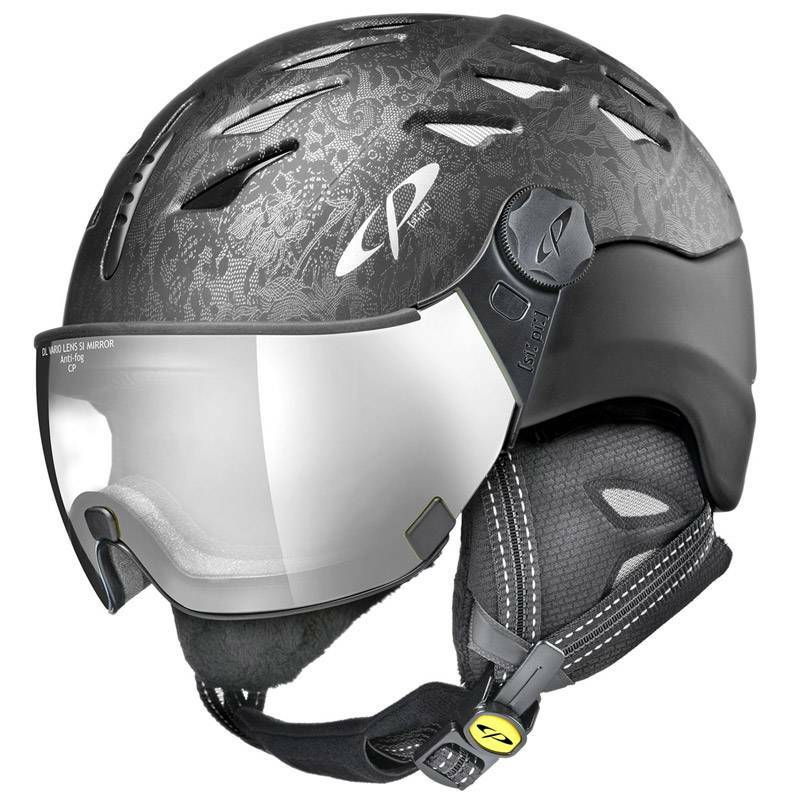 This CP CUMA will change the way you feel about visor ski helmets, with a greater field of vision, more comfort and safety, relentless in all aspects – quite simply the ultimate feel-good helmet.